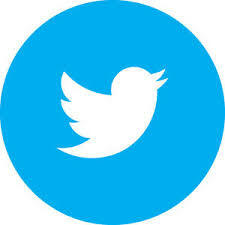 Eaton Moeller: is a leading manufacturer of automation and control technology and electrical equipment. Moeller, manufacture a range of single-sourced automation and power distribution equipment. Since April 2008, the traditional brand of Moeller became apart of Eaton. Complimenting each company's strengths and technological innovations, the Moeller \ Eaton brand offer a large product portfolio to industries around the world. Moeller is one of the worlds leading manufacturers of components and system which relate to power distribution and automation in industrial, infrastructure and residential building applications. Moeller products are mainly focused on developing creative ways of handling energy and maximising resources to thus make greater use of energy where it is needed. With a growing emphasises on effective management of resources and economic solutions, Moeller are able to implement high quality solutions in applications as varied as the installation of electrical systems for industrial buildings, to the automation of production processes and machines. Moeller Contactors are ideal for integrating into complete systems, with improved performance and a new design; Moeller Contactors are filled with numerous features for saving panel space, cutting installation time and reducing costs. 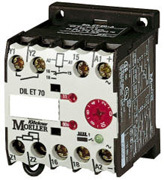 The Moeller range of DIL Control Relays comes with a wide range of features in a compact, smart design. The Moeller DILET and ETR4 timing relays provide an ideal economical solution compared to sophisticated programmable relays or PLC's. 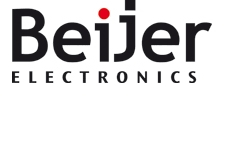 Ideal for critical processes, EMR multi function monitoring relays and ESR safety relays prevent disastrous and costly damage to man and machine. Moeller Motor Protective Circuit Breakers (PKZ) has long set the benchmark for control quality. The Moeller PKZM 0 now switches motors up to 32A. At the same time, the short-circuit switching capacity is significantly increased: the short-circuit rating (400 V) is now 150 kA up to 10A and 50 kA up to 32A. The Moeller PKZM 4 has a switching capacity of 50kA. The PKZM 01 is a completely new product with push-button operation for switching motors up to 25A (50kA/400V). 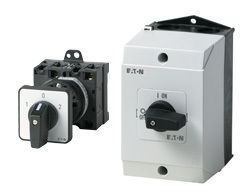 Moeller Rotary Switches are high performance, robust and compact. The Moeller “T” switch and “P” switch disconnector are used in industry, trade and building engineering applications. 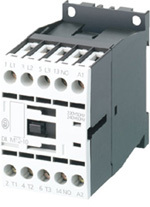 Moeller NZM Circuit Breakers provide excellent protection in applications from 5A up to 1200A, with a short circuit breaking capacity of 150kA. Equipped with thermal-magnetic or electronic trip modules, the Moeller NZM covers a wide variety of solutions in just four frame sizes. 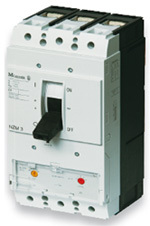 The Moeller X Comfort Range of Wireless Switch Systems sets a new trend in wireless switchgear. 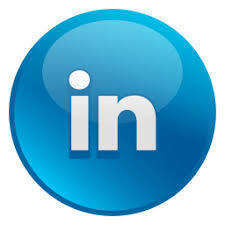 X Comfort Products Covering the following aspects wireless switchgear. X Comfort makes all of this possible, without the need of complicated wiring!